The final race of the season is here. I was happy that Fantasy Racing Online decided to fill in when Fox Sports decided to drop their NASCAR game last year. I am not a big fan of the rule changes though. Overall it was a decent season. I hope you all had fun and are looking forward to the 2019 Fantasy NASCAR season. Starting position is important at Homestead. Eight of the top-10 finishers started the race in the top 10 last year. Joey Logano was able to finish 6th from his 19th starting spot and Chase Elliott was able to finish 5th from his 18th starting position. I am getting some of the drivers who start up front into my lineup this week. Martin Truex Jr. starts 3rd and his car is blazing fast. He was 2nd fastest in final practice with the 2nd-best 10-lap and 15-lap speed. The No. 78 team will put it all on the line this week since there is no tomorrow. The car Truex will be driving dominated the race at Kentucky. I am picking the No. 78 car to give me a chance to score the 20 points for winning the race. One of the four championship drivers will likely win the race. If not one of these drivers it will likely be Kyle Larson. 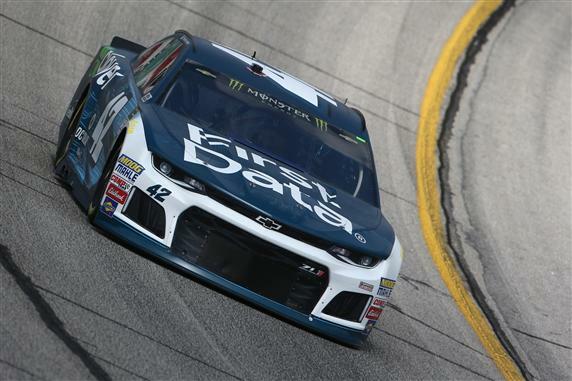 I am using Kyle Larson and Kevin Harvick to score place differential points from the 11th and 12th starting positions. Both drivers should have a good chance to win the race. Paul Menard was very fast in practice. He was 8th fastest in final practice with the 7th best 10-lap average speed. He also was fast in the morning practice. Menard starts 22nd and should finish in the top 12 Sunday. Regan Smith was happy with his car in final practice. The car was loose to start but with each change Smith said, “We are going in the right direction. Those changes really helped.” Smith starts 30th and he had the 25-best long run car in practice. I expect Smith to move up 5-10 spots at Homestead.